Chef coat for kitchen staffs in Chennai !! Need Uniform for your kitchen staffs in Chennai ? 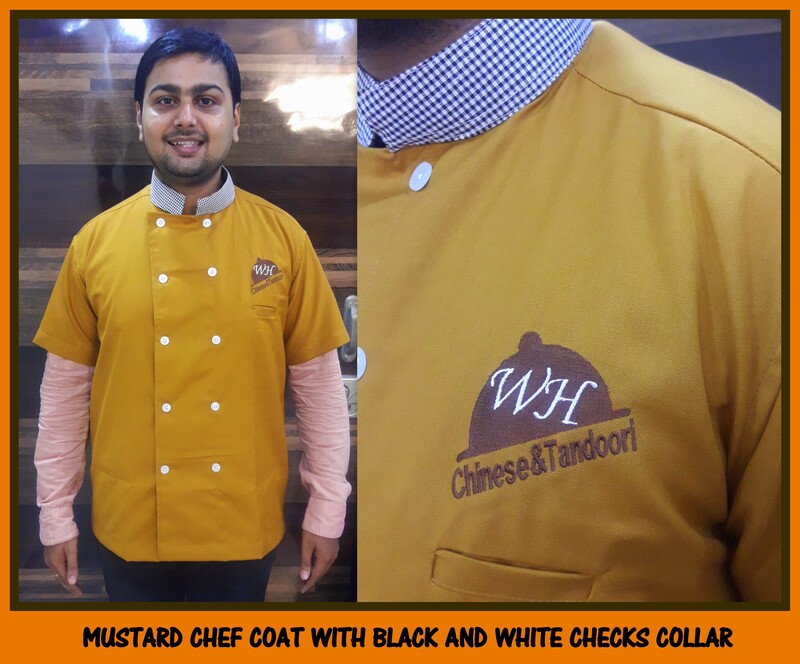 Here we have a Chef coat made with terry cotton material in Golden mustard color and have black and white checks as collar to give a professional look to your Chef coat . We can make these Chef coats in your favorite color. Minimum order for customized Chef coat is ten pcs. We have white readymade Chef coats in stock with us in case you need something in urgent. What are you waiting for call us now at 044 – 48613043. Happy to help you.